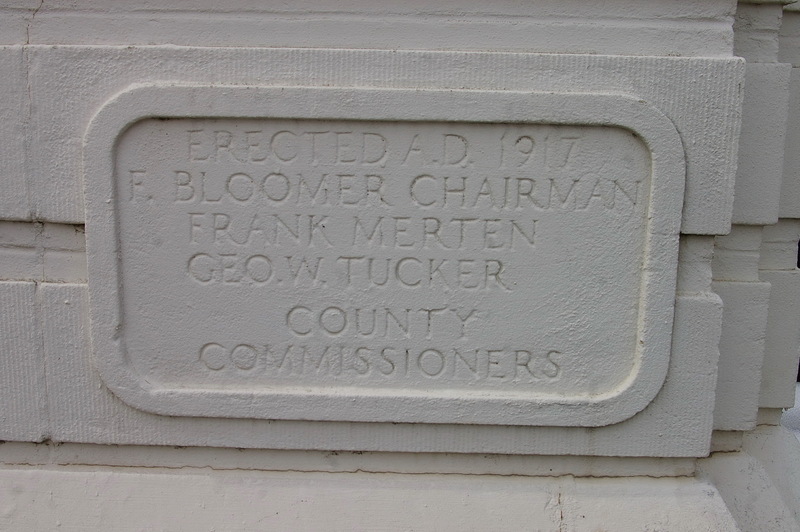 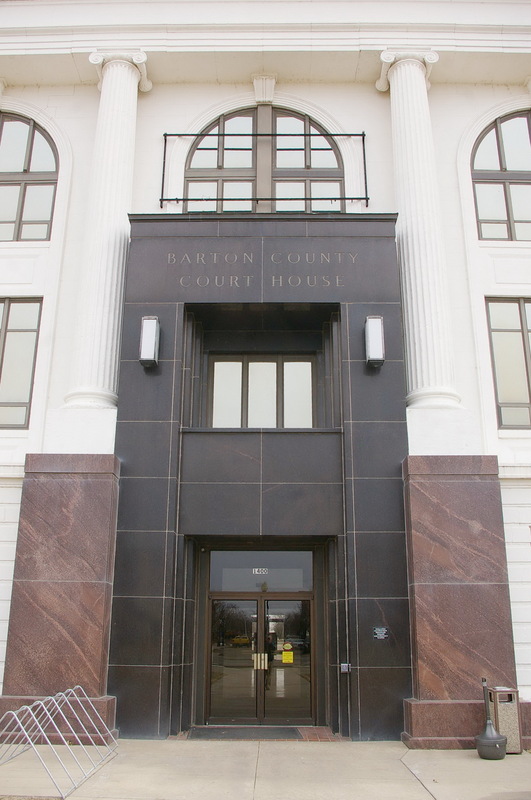 Barton County is named for Clara Barton, who was responsible for the founding of the Red Cross. 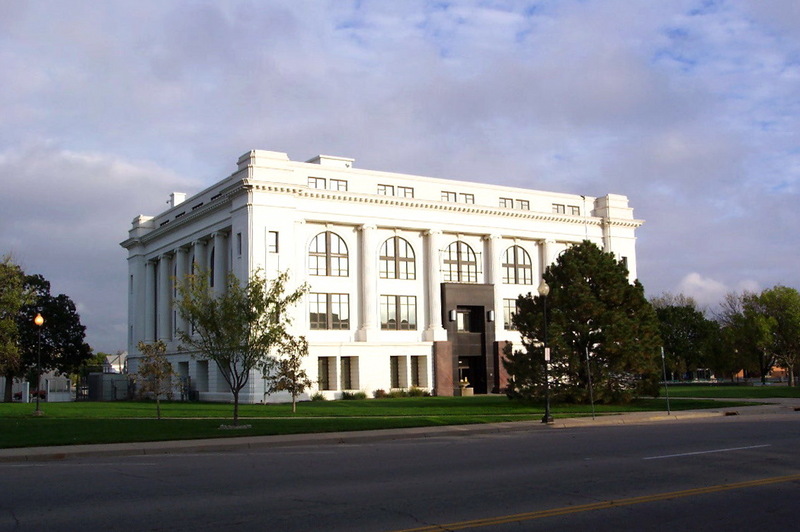 Description: The building faces west and is a four story white colored brick structure. 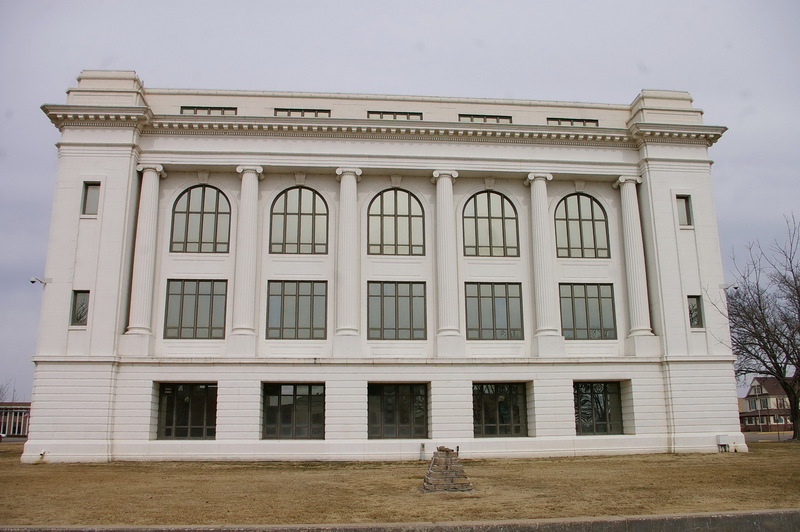 There are Ionic columns rising from the second story to the third story, large arched windows on the third story and small windows on the fourth story. The entrance is framed with black colored stone. 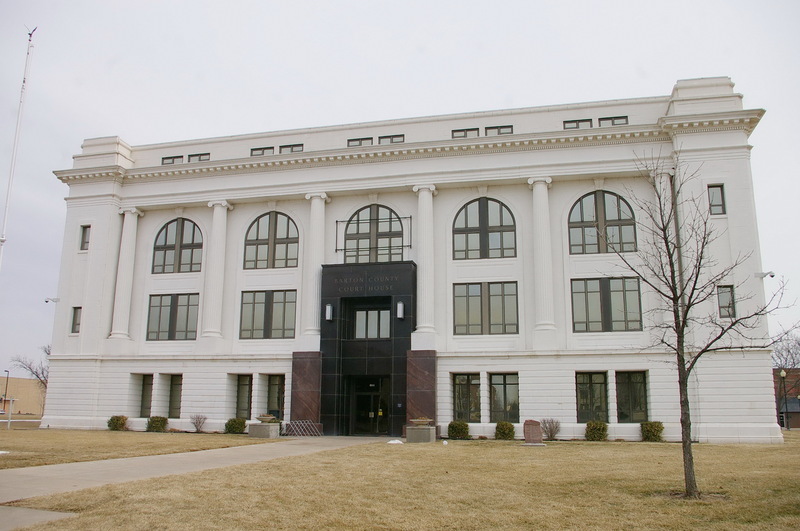 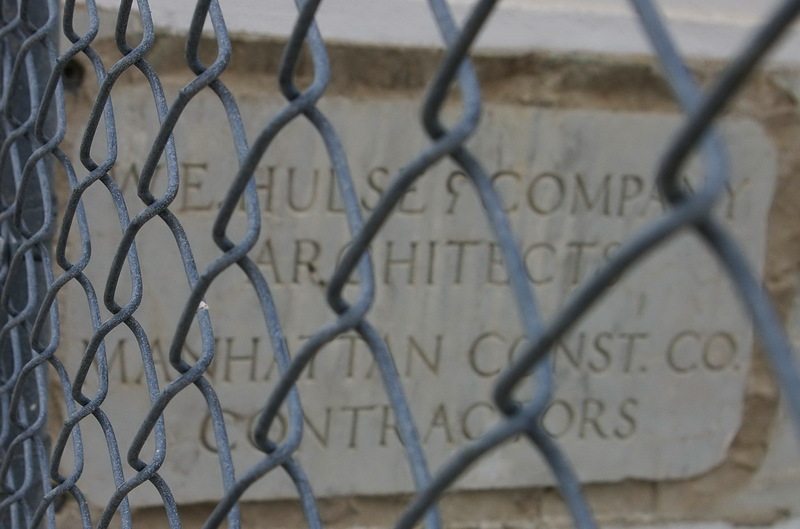 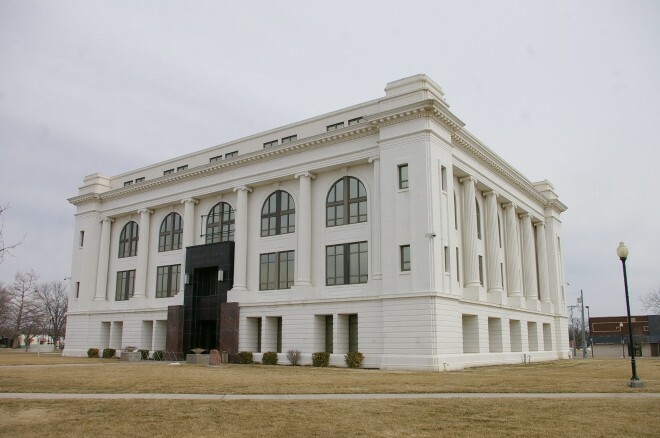 Note: The architect, William Earl Hulse & Company of Hutchison, designed courthouses in Brown County, Kiowa County, Osage County, Pawnee County, Reno County, Wallace County and Wichita County. Note: The previous courthouse was designed by John G Haskell and constructed by John McDonald in 1873.